When your vehicle’s windshield is severely damaged, you only have one option, get it replaced with a new auto safety glass and hire a professional to do the job. The new auto safety glass being used for Lewisville windshield replacement must be an approved auto glass that meets all the safety standards according to the regulations. Using anything other than that is not only dangerous, but could also be illegal. You should also trust a certified auto glass technician to do the windshield replacement to make sure it’s installed properly. The windshield is an integral part of a vehicle’s safety structure, so it must be installed properly. Today it’s not hard to find a good auto glass company that can help you with your windshield replacement in the city of Lewisville, TX. Even if you don’t have time to take your vehicle to an auto glass repair shop, you can always find an auto glass company that offers mobile services, so instead of taking your vehicle to their shop, they will come to you. Many auto glass repair shops in the city of Lewisville, TX also can take care of your insurance claim, so they can practically handle everything related to your windshield replacement, which is very convenient. When you’re looking for an auto glass company to install a new windshield for you, don’t just concentrate on the price. 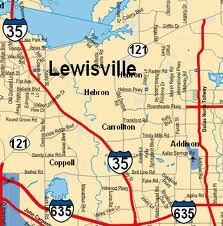 When it comes to Lewisville windshield replacement, you should always choose quality over price. However, there’s no reason why you can’t get both good quality and price, you just have to choose wisely. Nowadays we see a lot of auto glass companies offering “speedy on-site service”, or “same day delivery”, which sometimes could be misleading. Many car owners think that once the new windshield is installed with that lightning quick service, the car is ready to be on the road again, unfortunately this is not true. Depending on the type of adhesive being used in the process, you may have to wait about 3-24 hours before the car is ready to be taken out for a drive. So be sure to ask the Lewisville windshield replacement technician how long you have to wait before the car is ready to drive. Humidity and temperature also affect the length of time needed until the windshield is ready. That’s why usually you will be advised to wait at least 24 hours or longer than that before taking your car to a high pressure car wash. This is because the humidity and sudden temperature change will affect negatively on the newly installed windshield. But what if it rains? Would it cause damage to the seal of the new windshield? The answer is no, moisture is not the problem that’s causing the new seal to be broken, it is the pressure of the car wash that you should worry about. It’s also a good thing to take it easy with the car for the first few days. Try to avoid uneven roads and don’t drive too fast. Addison, Allen, Frisco, Coppell, Dallas, Euless, Farmers Branch, Carrollton, Wylie, Grapevine, Rockwall, Irving, Lewisville, Little Elm, McKinney, Mesquite, Plano, Richardson, Highland Village, Rowlett, Sachse, The Colony & Garland TX.